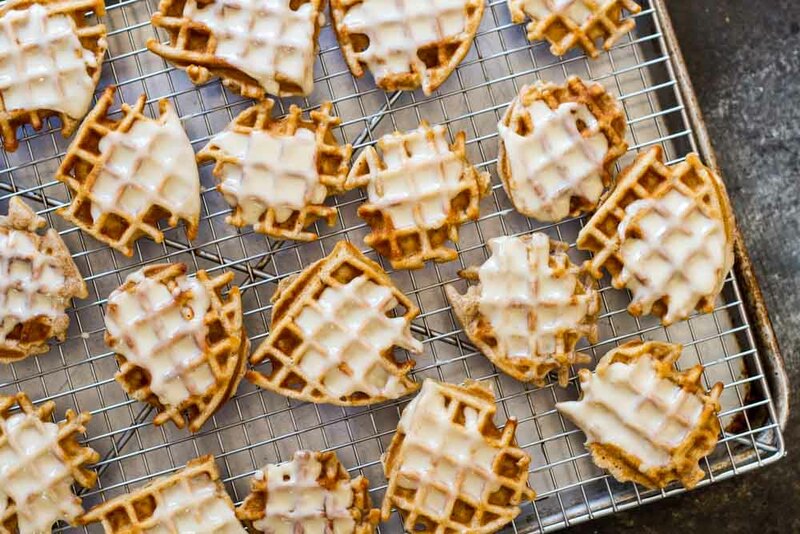 Keeping the Fall flavors going with this apple fritter meets waffle recipe. 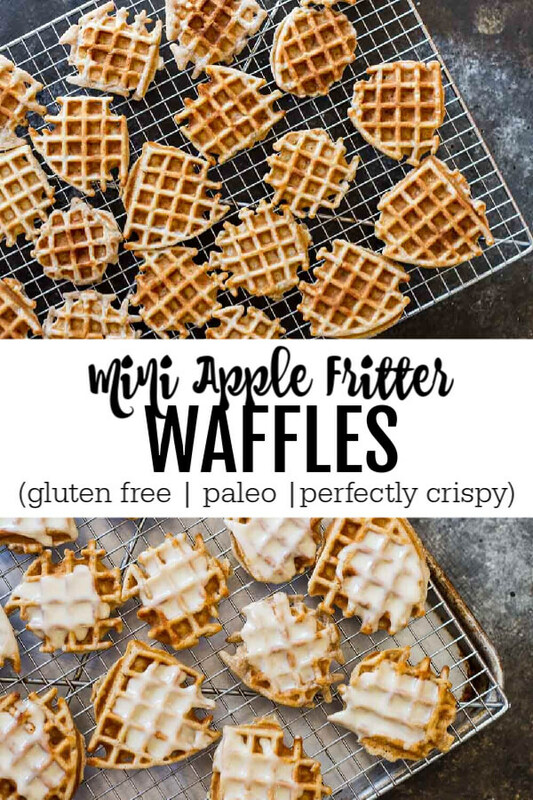 Introducing Mini Apple Fritter Waffles. If I had to choose a favorite donut, it would have to be the apple fritter. Apple cinnamon goodness all fried up into a warm, cozy ball of dough. Mmmmmmm…. While I’m not about to bust out some deep fried donuts, I do love to make waffles. My kids gifted me with the BEST waffle maker last year, and my waffle game has been pretty strong ever since. 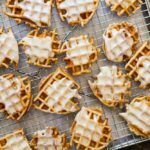 I’ve shared recipes for The Best Crispy Waffle, Gingerbread Waffles with Maple Cream, and Savory Sweet Potato Waffles. And today I’m adding another one to the list: Mini Apple Fritter Waffles. I’m not big on sweets in the morning, so waffles for me are usually a little treat or snack. Or I make them for a special birthday/holiday/celebration brunch. But I have to admit that I’m a bit obsessed with these little waffles. Apple season is in full force, and we have a tart little apple tree on our new land that we are moving to. It’s been fun to cook and bake with those apples. And because these waffles are made with all real food ingredients, I can feel good about eating them any time of day. warm chunks of apple and cinnamon….perfect Fall time flavors for your holiday brunch or just about anytime you like. 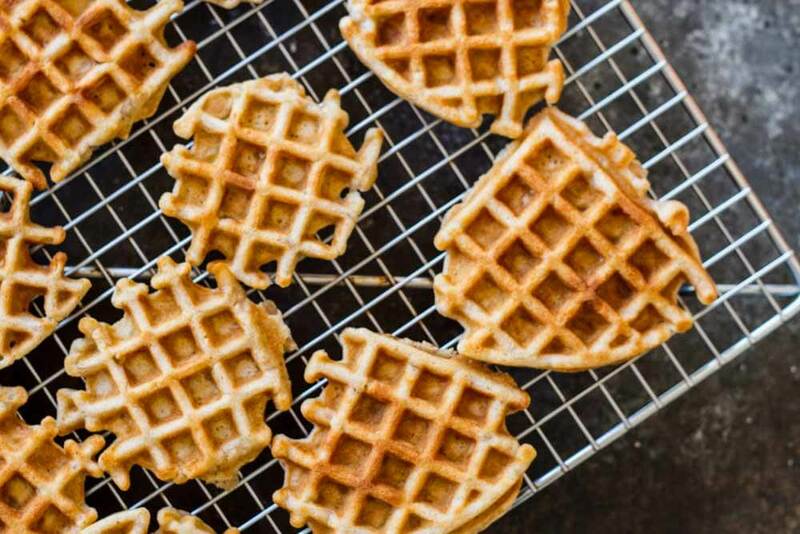 crispy texture….I used the recipe for my Crispy Waffles for the base : a gluten and grain free mix of cassava flour and arrowroot that creates the perfect crispy waffle when cooked. mini waffles….because cute, mini food is awesome. The presentation is fun and festive and is good to feed a crowd. 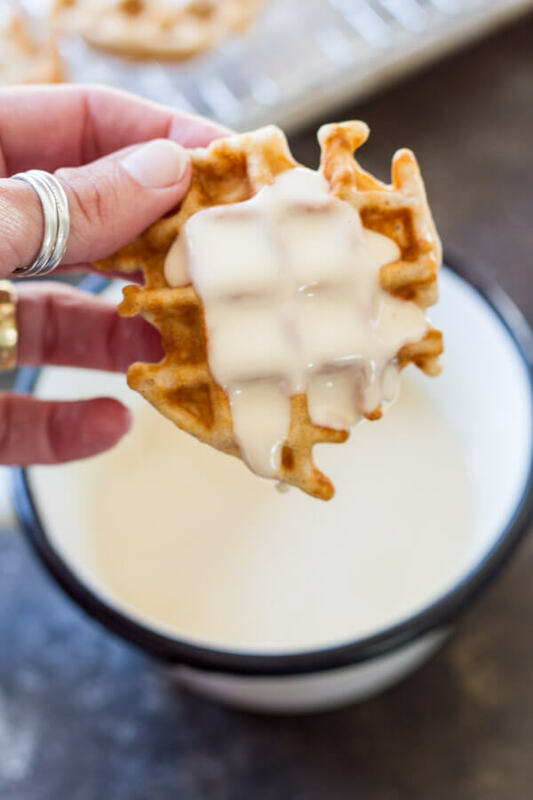 the glaze….a creamy maple vanilla glaze takes these little mini apple fritter waffles from tasty to uh-may-zing. I love how the glaze creeps into every little nook and cranny. 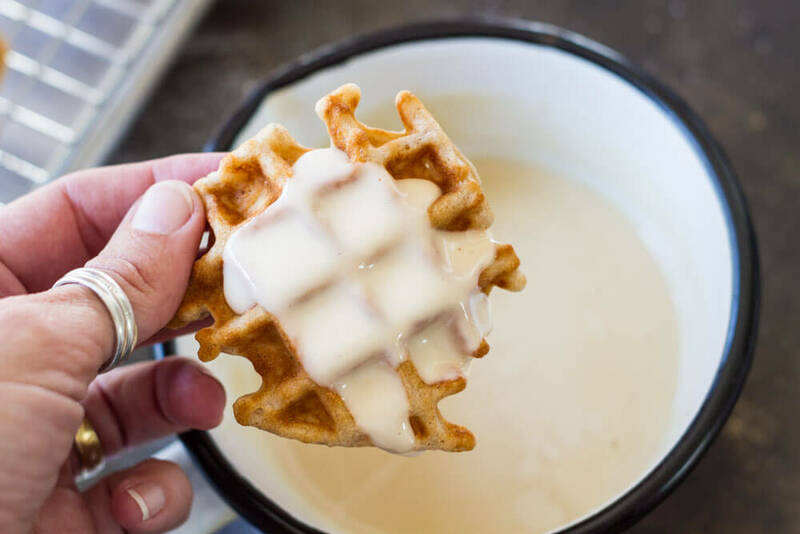 you’ve got options…..if making the glaze is not your thing, you can serve with real maple syrup and butter, apple butter, sauteed apple slices or a sprinkle of cinnamon sugar. To make cinnamon sugar, simple combine 2 tablespoons of coconut sugar and 1 teaspoon of cinnamon. YUM! 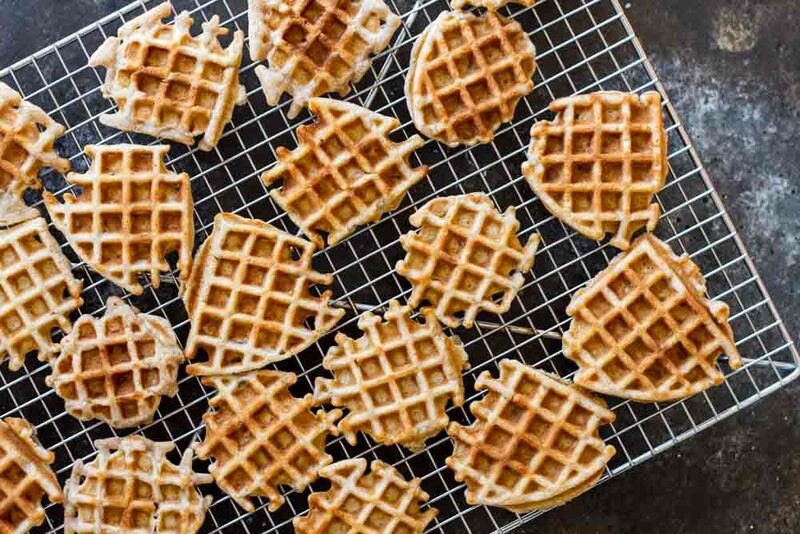 freezer friendly….all of my waffle recipes freeze well for easy meals later on. They warm up and crisp up nicely in a toaster oven or oven. 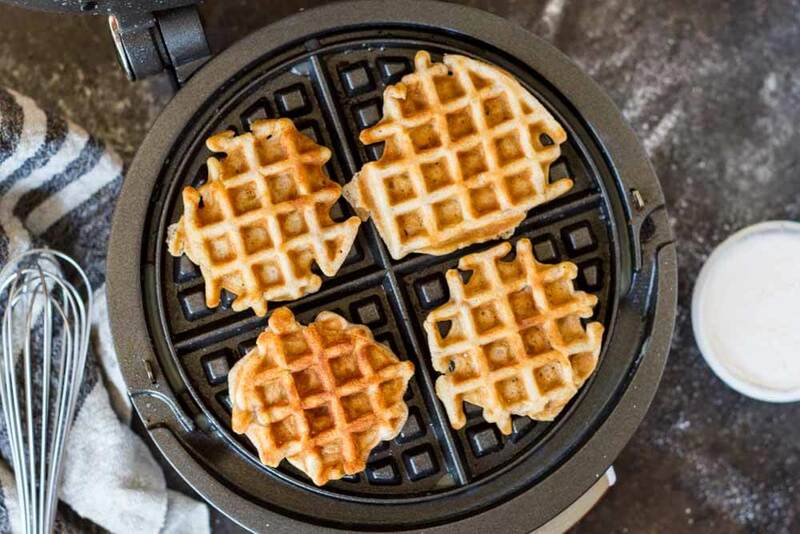 The smell of these little mini waffles brought all the people wandering into the kitchen. 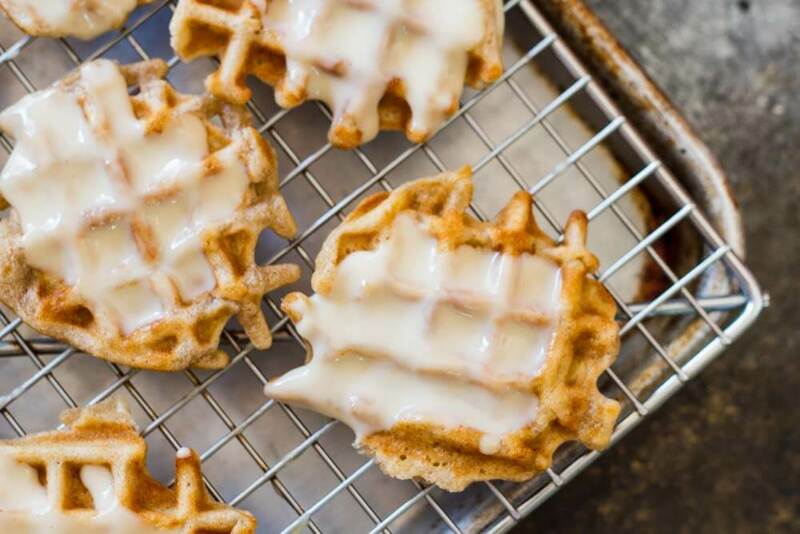 Warm cinnamon and apple deliciousness that tastes amazing right off the waffle iron. Hubby said they taste just like apple fritters. Little One couldn’t stop licking the glaze. And I ate more than my fair share while editing photos for the blog post. Definitely a keeper recipe around here. Stay cozy this fall. I’ll just be here eating more of these little waffles. That glaze looks amazing! I am not a big syrup fan! They are so cute and gorgeous. 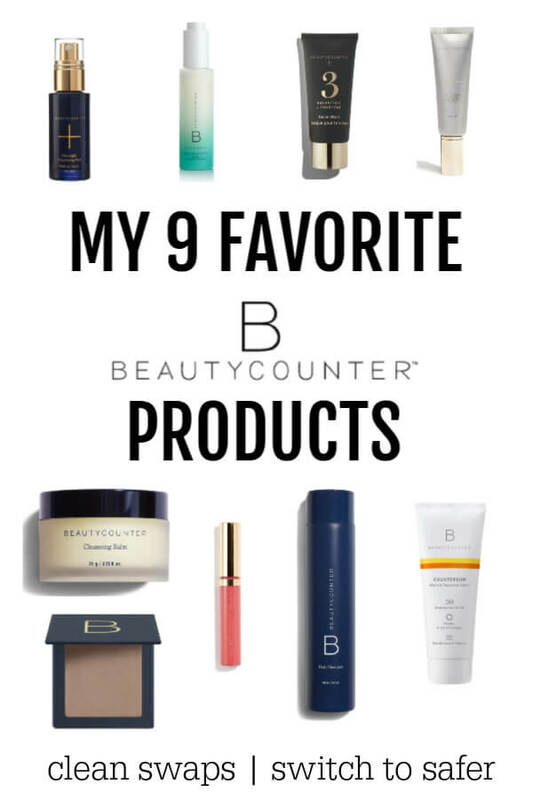 I totally love them! 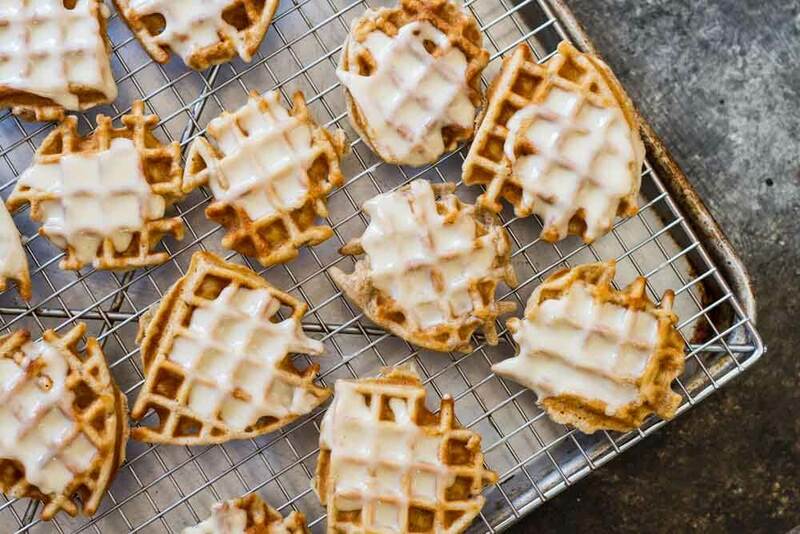 Whaaat, apple fritter waffles? 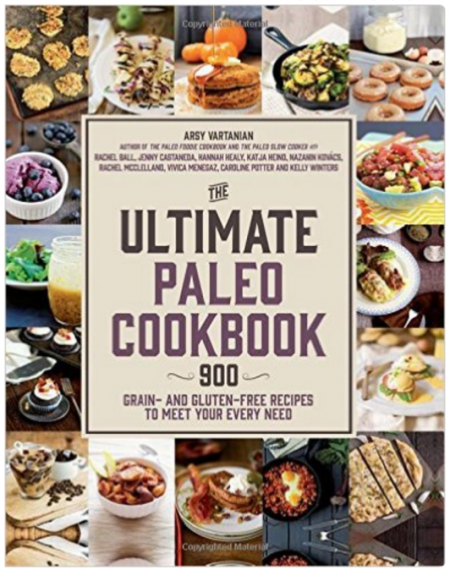 What is not to love about this recipe!! Genius!